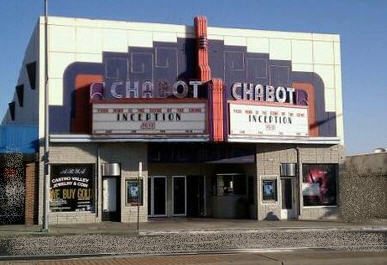 Castro Valley Chabot Theater is a very charming and retro old school theater. Place is clean, comfortable seats, staffs are friendly. This is a single-screen theaters. The sound system is state-of-the-art. There is no big parking structure, but there’s usually plenty of street parking. You can also use the lot behind the theater. Unbeatable price. $5 2-D, $6 3-D for all shows before 6pm everyday. yes, even on weekends.